You can actually take screenshots in Windows 10 without installing additional app. 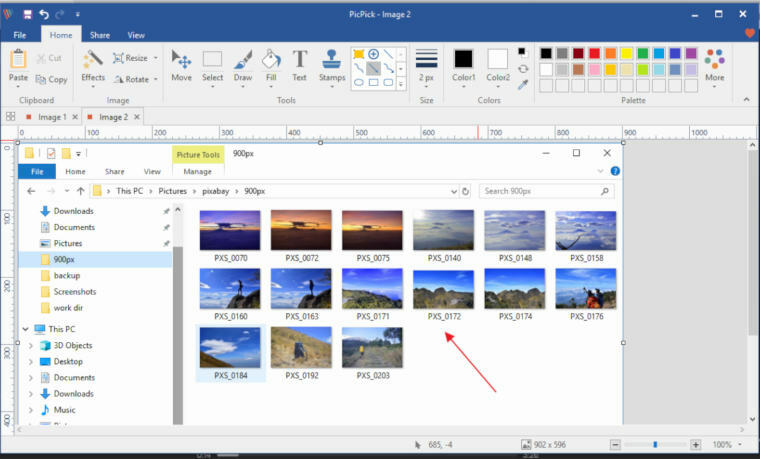 Windows 10 has a built-in screenshot tool, Snipping Tool, which you can take advantage of. You can find this tool under Windows Accessories folder in the start menu. As a screenshot tool, Snipping Tool actually offers plenty enough features. It offers a delay feature and comes with several screenshot modes. But in case Snipping Tool doesn’t have the features you need, there are a bunch of third party screenshot tools you can use as well. One of the things you can’t do with in Snipping Tool is adding texts to the screenshot you took. You won’t also be able to draw elements like arrow and rectangle form. If taking screenshots is a part of your job with your Windows 10 computer and what Snipping Tool offers is not enough, here are 10 alternatives you can try. 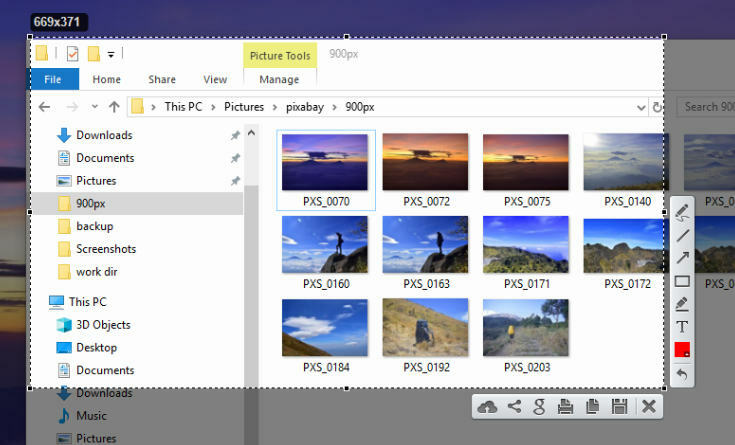 The first screenshot tool for Windows 10 you can use to replace Skipping Tool is Nimbus Capture. You can use this tool for free for any purpose. There are three screenshot modes offered by Nimbus Capture: fragment, full screen and custom size. 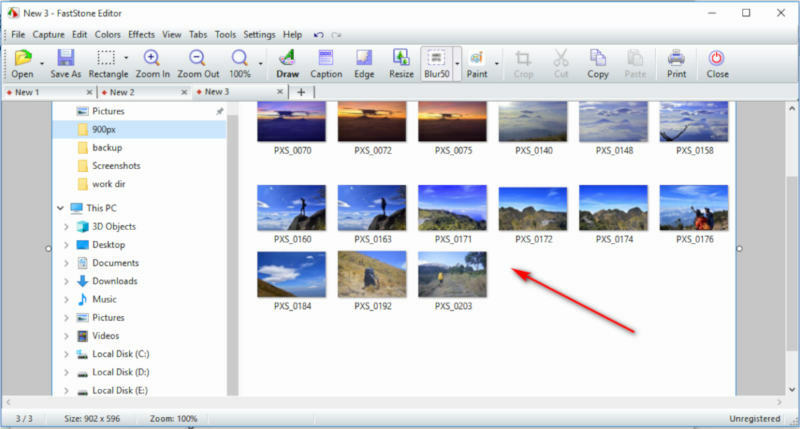 Nimbus Capture has a feature-rich editor which will appear after it captured the screen. You can annotate the captured screen before save it into an image file. By default, the image file is saved in a PNG format, but you can also set to JPG and BMP. 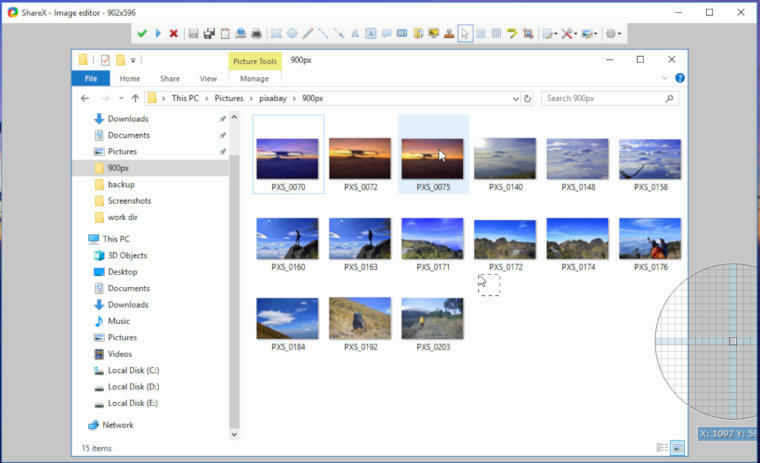 You can choose whether you want to save the image file locally on your computer storage or online to Nimbus Capture server. 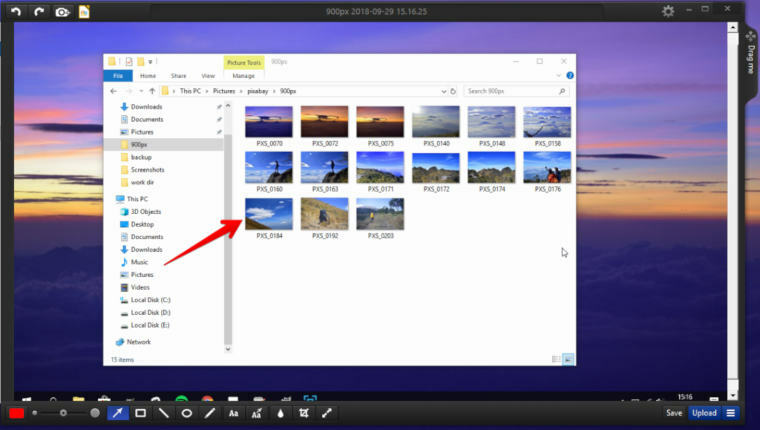 In addition to taking screenshot, you can also use Nimbus Capture to record your desktop. ShareX is an open source screenshot tool that is developed for Windows system. The source code of this tool is available on GitHub. ShareX also offers a feature-rich editor which you can use to annotate the captured screen and draw some elements before you use it. 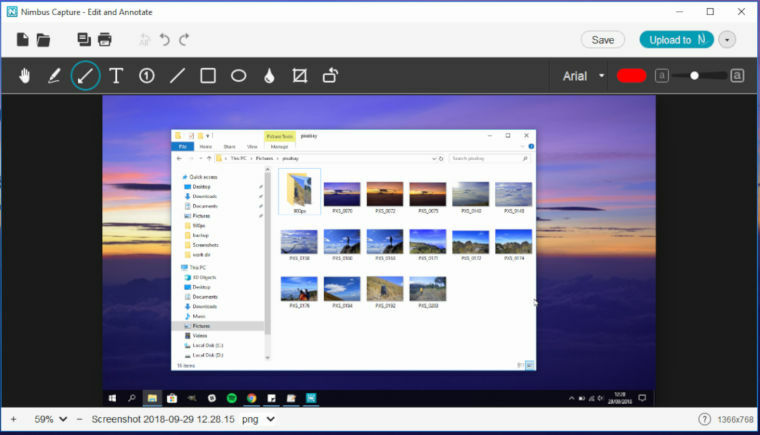 After installing ShareX and launch it, ShareX will create a new folder under the Documents folder on your Windows 10 account which is used to save the screenshots. By default, ShareX will automatically save the captured screen to the folder instead of open it in its editor. 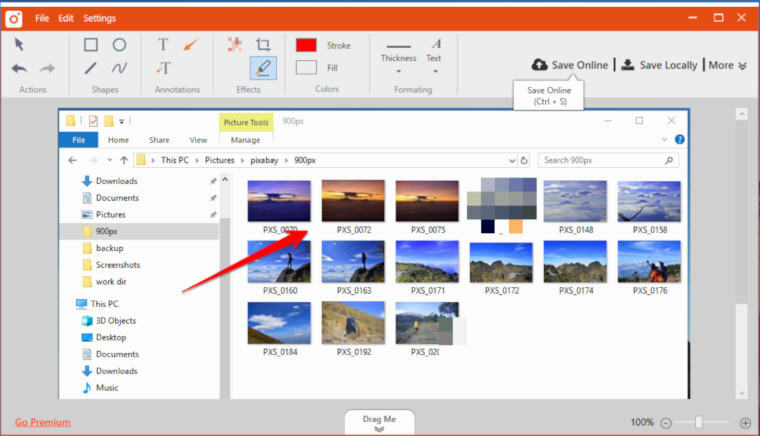 You need to set ShareX to automatically open its editor after taking screenshot if you want to always edit the captured screen before saving it as an image file. Same as Nimbus Capture, ShareX also allows you to record your desktop, be it as a video or GIF file. Another highlight feature offered by ShareX is Auto Capture which will perform recurring screenshot according certain period you set. Greenshot allows you capture the the entire screen or select certain window or region. This screenshot also offers an image editor that allows you to annotate the captured screen before you save as an image file. Unfortunately, the image editor offered by Greenshot might is a bit too complex for editing a screenshot. You can’t instantly add an arrow or mark certain part of the captured screen with a rectangle form. If you are no problem with it, then Greenshot is a nice screenshot you can try. Shots is a simple screenshot tool. It is a cross-platform screenshot tool. In addition to Windows, you can also install it on Linux and Mac. Shots only offers a single screenshot mode. You can only capture the entire screen of your Windows 10 desktop with it. There is no option to select a window or region. Even so, you can instantly crop the captured screen as well as adding arrow or rectangle element. You can also blur certain area of the captured screen. The delay feature offered by Shots allows you to capture certain action in your computer. For instance, you can capture the moment you’re opening start menu. Shots allows you to instantly share the screenshot to social media or save it online to Dropbox or Imgur. Shots is the screenshot I personally use on my daily basis. Shots has one thing in common to ShareX. It is released as an open source software. If you want, you can see the source code of this software on its official GitHub page. Lightshot is another simple screenshot tool. In opposite to Shots, Lightshot requires you to select the screen area you want to capture. Full screen screenshot is also available via shortcut (Shift + Prnt Scrn). Lightshot offers a pretty simple editor, but it is the thing that this tool want to offer indeed. You can instantly add text to the captured screen as well as adding arrow, straight line and rectangle shape. In addition to saving the screenshot to your computer, you can also instantly share it to social media. Monosnap allows you to capture your desktop screen, whether the entire screen or just selected region. If you need to, you can also record your desktop with it. Monosnap also offers an easy to use editor which will automatically open after it captured the screen. You can instantly add an arrow to the screenshot or mark certain area with a rectangle shape. It is also possible if you want to blur certain area. 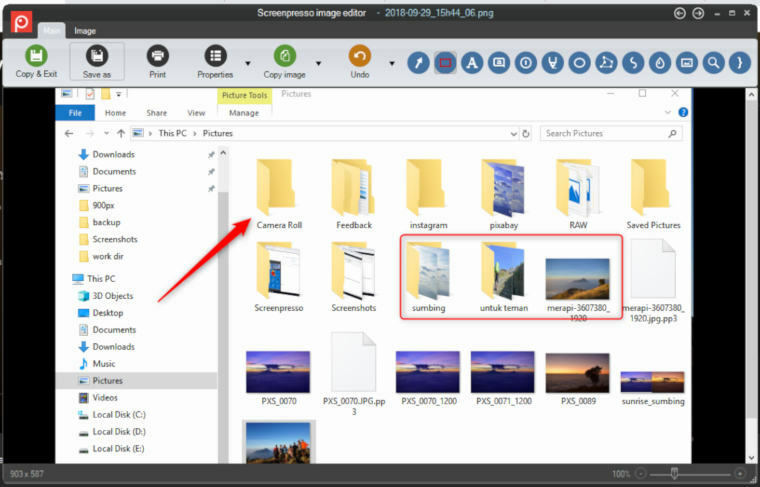 Monosnap itself is a cloud-based screenshot tool. If you want, you can also upload your screenshots to the Monosnap server for anywhere access. Unlike six first screenshot tools above which are available as free software, Screenpresso is released as a freemium software. Screenpresso is a feature-rich, versatile screenshot tool. 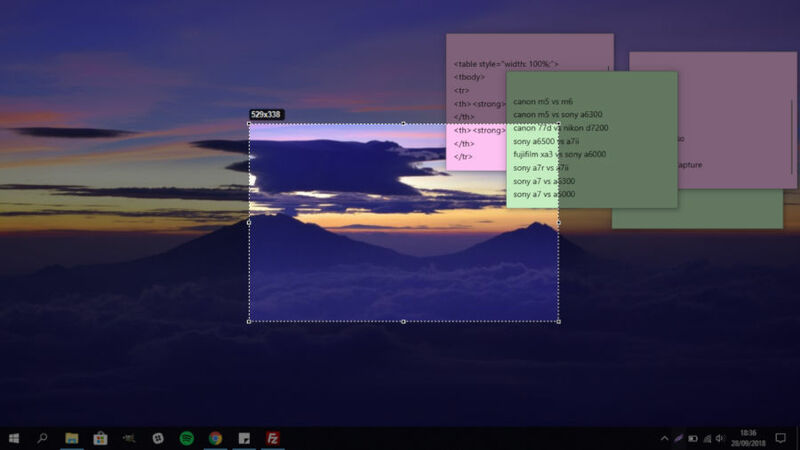 In addition to taking screenshot, you can also use this tool to record your desktop. Free version I think is enough if you just need a tool to take some screenshots. The editor of Screenpresso also allows you to effortlessly draw an arrow, rectangle, ellipse or blur an area. Screenpresso itself allows you to capture the entire screen or select a region. It also offers a delay feature that makes it possible for you to capture certain action like right-click or selecting a menu on an app. TinyTake requires you to create an account first before being able to use it as it is an internet based screenshot tool. Even so, you don’t have to save your screenshots online if you don’t want to. You can also save your screenshot offline to your local storage. In addition to taking capture, TinyTake can also be used to record your desktop. 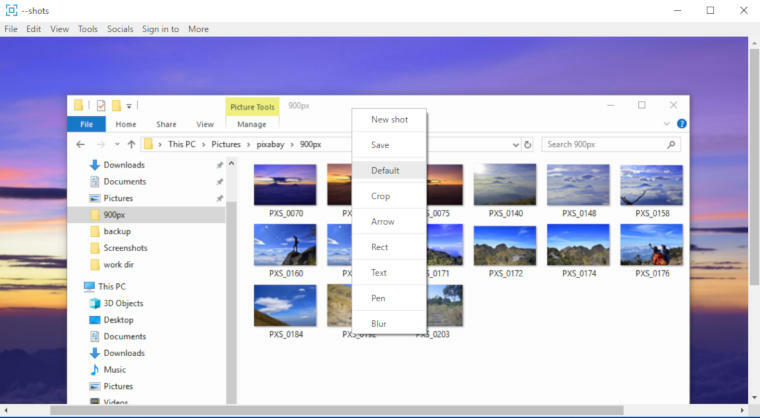 There are three modes of screenshot offered by TinyTake: full screen, region and window. The editor of TinyTake comes in a pretty enough interface. One crucial thing to note regarding TinyTake. It is a freemium tool like Screenpresso above. Free version can only be used for personal use. FastStone Capture is the only screenshot tool on this list that requires you to make a purchase. 30-day trial period is available to give you a chance to figure out if this tool is really that good. The overall features offered by this tool are not much different to all tools above. It also offers an editor that allows you to edit the captured screen before you use it. The editor of FastStone Capture is much more complex than the editors of other tools above. Luckily, adding elements like arrow, rectangle or ellipse shape is easy enough. 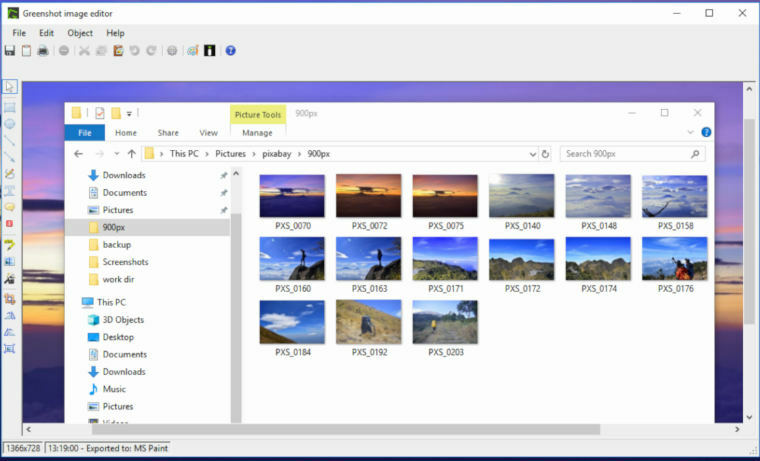 PicPick is not specifically developed to be a screenshot tool. Instead, it is a all-in-one design tool. Even so, PicPick is a reliable enough tool you can use to take screenshots. There are several options offered by this tool. You can select whether you want to capture the active window, selected region or entire screen. The editor of PicPick is complex enough. It comes with a tabbed interface which allows you handling multiple screenshots. PicPick itself is a freemium tool. You can use this tool for free, but only for a personal use. You need to upgrade to premium to use this tool for business.